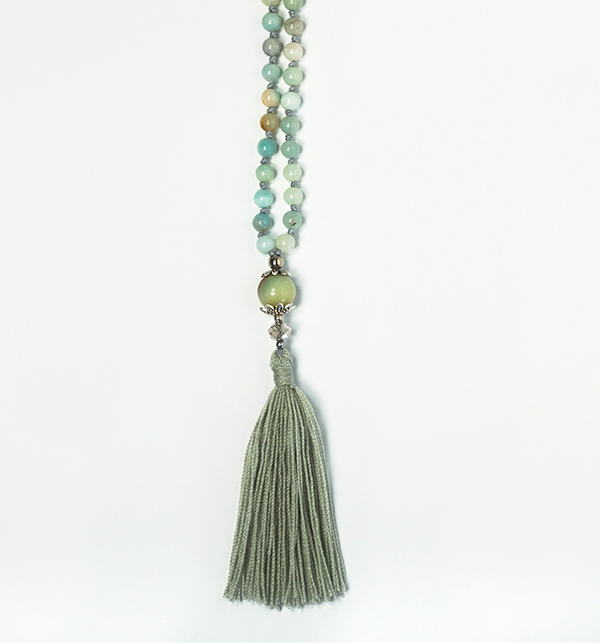 Amazonite malabeads with embellished tassel. 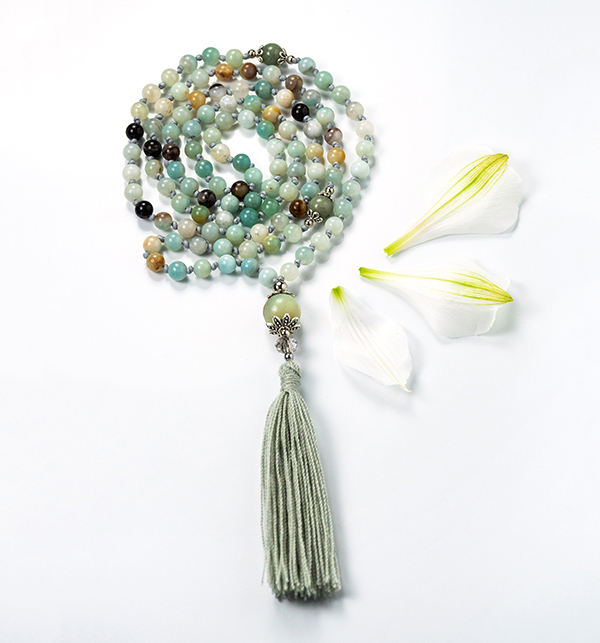 108 stonebeads, length 55cm. Stone for self expression. 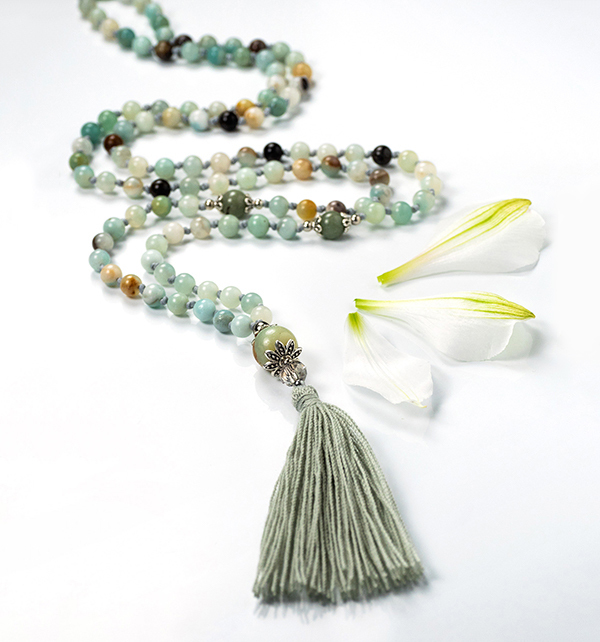 Harmonizing, calming and helps with healing traumas.